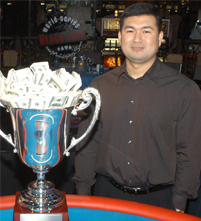 The other name of Mike Aponte is MIT Mike and he is known as a professional player of Blackjack. He had been the ex-member of MIT team of Blackjack. He was leaded the MIT students' team at one time which is famous for winning millions of dollars at the table of Blackjack in various countries around the world. Ben Mezrich a well known writer of the book named, Bringing down the House has awarded Mike the main character in his book with the name of Jason Fisher. Mike's age is 36 years and he never been involved in card playing during his childhood or teenage. Mike is the genius son of a technical instructor in U.S. Army, and hence he along with his family had to move from one country to the other. Mike attended almost eleven schools before attaining his graduation in 1988 in New Jersey from Ewing School. During the same year, just after completing his graduation, he came to Boston in order to join MIT. In Boston, he started studying economics and taken part in the school foot ball team. After sometimes, he attained a turn in his life when one of his friends told Mike about MIT team which uses different strategies and mathematical calculation in order to win the Blackjack game. How Mike Inspired from MIT Team? Mike expressed his feelings at the interview which had been taken for All In, a magazine, that he has got surprised to see the winning strategy and mathematical calculations of MIT team at Blackjack. He expressed that card counting and making big amount of money is really amazing by the team strategy. During this interview, he admitted that he wanted to develop skills of counting the cards and winning game strategies. Aponte passed the test of team's big player in 1992 and hit the Casinos after becoming the member of MIT Club. It was the skills he learnt before passing the test of a big player which awarded him and his team the great amount of money. He has come to know how to identify what is the favorable and unfavorable time. Aponte is regarded as one of the most successful player in his team. After some years he has been awarded the seat of manager of this team on behalf of his skills and expertise. He than become responsible to organize the team and to appoint new players whenever required. 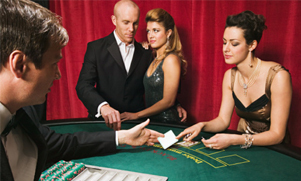 In the year of 2000, Mike and his team generated millions of dollars at the Casinos in U.S and throughout the world. They have traveled to play game at different regions and met with famous athletes, stars of Hollywood and few of the wealthiest persons on earth. They have been invited at nightclubs; they stayed at posh areas and adopted such a lifestyle which is dreamed by most of the individuals. Mike along with his team performed hard work and adopted business approach. The team made their schedules for games at different Casinos and hence they remained sharp in assembling their strategies. 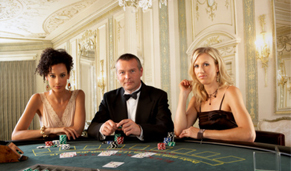 In the year of 2004, Mike and his team have won the series of World Blackjack and then he founded an Institute for providing training in Blackjack. In the year of 2007, Mike had been depicted on the trading card in Topps' Allen & Ginter set. He is the first player who has won this respect and reward.